Haitians were there for Ethiopians in 1934 at their time of need, will we be there for them now? According to the International Red Cross, as many as 50,000 are dead and three million others affected by earthquake devastation. Time is running out to find family members and other survivors who are buried in the debris. As many desperately join the search, large equipment is lacking leaving many to dig through the rubble with only shovels and their hands to free those trapped underneath. Those organizations helping in the rescue efforts are saying that every dollar can help. Beyond our sympathy, we Ethiopians cannot sit by and do nothing. That is why we, the members of the SMNE with our mission of putting humanity above anything else, are compelled to help the best we can with financial donations to these people. As I listened to new updates on the Haitian earthquake on an Internet radio station out of Washington DC, the speaker called Haiti, before the earthquake, the Ethiopia of the Western hemisphere. For Ethiopians who do not know, there is more we have in common with the Haitians then being poor. In 1934, when the Fascist Italians under Mussolini invaded Ethiopia, Haiti was one of the five countries to condemn the invasion. Haitians were there for Ethiopians at their time of need, will we be there for them now? We encourage Ethiopians to send your contributions to the people of Haiti through a reputable charity of your choice, for it can save lives. Some children of SMNE members were emotionally struck by the suffering and told their parents they wanted to contribute, some even giving all of their savings. Their parents helped them spread the word and I have been told that they have now donated $3,137 to the International Red Cross. In time of great need, our response to the suffering and pain of others should have no national boundaries. 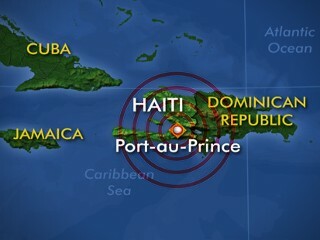 May God use us to help our Haitian brothers and sisters. The people of Haiti need your help. You can also donate via text message: text “HAITI” to “90999″and $10 will be given automatically to the Red Cross, charged to your cell phone bill. Or call (800) RED-CROSS. Thank you so much for being an awesome inspiration to us all. ...Your contributions are immeasurable.